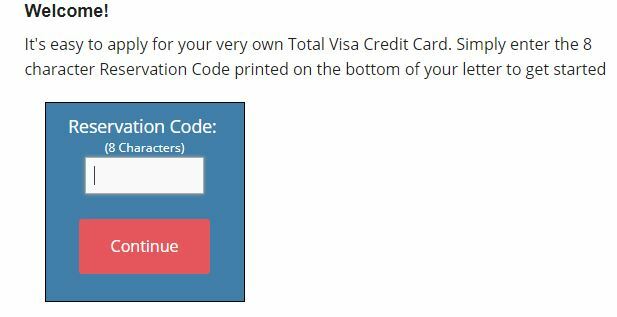 Consumers interested in applying for the Total Visa Credit Card can visit the online application site at www.preapprovedtotal.com. The card is designed for customers that have less than perfect credit and who meet certain criteria for applying. At the online application website consumers that received an invite to apply for the card are required to enter their www.preapprovedtotal.com reservation number. The number is an 8 digit number that is printed and can be found on the bottom of your letter. This number recognizes your financial info that was used to pre-qualify you for this card. If you did not receive an invitation in the mail you can still apply by clicking the HERE link to go to the application page. After completing the application it only takes about a minute to receive a decision. Do your due diligence and review all of the terms and conditions before completing the entire process. Customers can also elect to apply by completing the Total Visa credit card application that was included in their offer letter. It will take 5 to 7 days before you receive a response on your acceptance if you choose to use this option. The fastest option for applicants is to visit the pre-approval site and complete the short application process there. It only takes a few minutes to complete and you will receive an instant decision on your credit acceptance. 24/7 Online Account Access: Once approved for a Total Visa Credit Card cardholders will be able to access their account online to review their account balance, transactions, available credit, bill pay options, etc. Processing Fee: There is an $89.00 processing fee to open an account that you must accept before accessing your available credit. The $89 processing fee is a one-time fee. 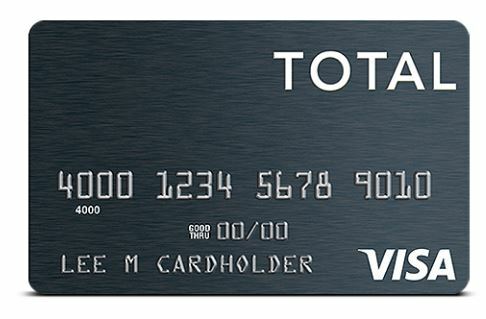 Annual Fee: The Total Visa Card has a $75 annual fee for the first year and every year thereafter it’s $48. When you receive you credit card you’ll notice that the annual fee will already be deducted from your $300 credit limit. Your available credit limit will be $225. Monthly Servicing Fee: There is no fee assessed the first year but beginning the 2nd year it will be $75 annually or $6.25 per month. Penalties: Late Payment fee up to $37 and returned payment fees up to $37. Pay by Phone Fee: There is a fee called Expedited Phone Pay Fee that is assessed to cardholders who choose to pay their monthly bill by phone. The fee is $10 and can be nullified if cardholders simply pay their monthly bill online. The online bill pay service is free. Consumers can take advantage of the Total Visa Credit Card offer by visiting www.preapprovedtotal.com. It will only take a few minutes to complete the application and receive a decision on your acceptance and credit card limit.